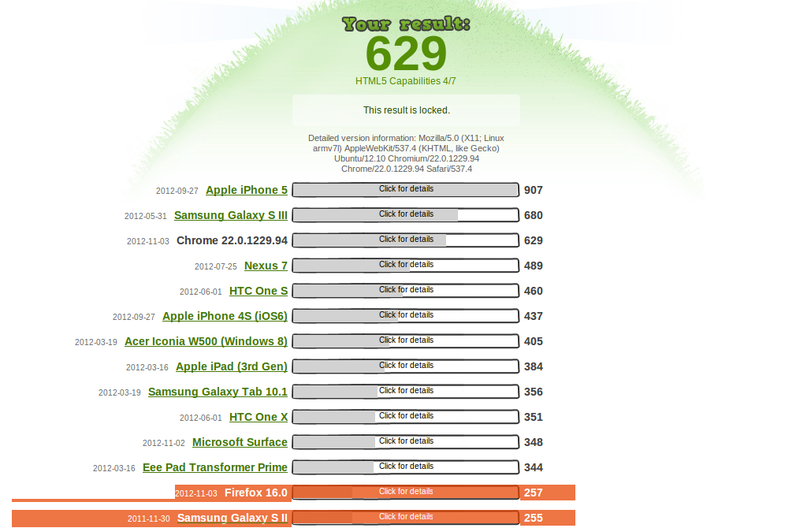 Firefox performance (257) is pretty bad compare with Chromium (629). I have tested it in my laptop and the same different exist, however the more powerful hardware makes it not as relevant. Previous Post What does it take to run Ubuntu Desktop on mobile devices? it would be great a dual boot installer for the Nexus 7 as you did with Chromebook, or even a USB stick installation for Ubuntu with dual boot.